Like most of the British public, we’ve been following the tears, the handshakes, the star bakes and Noel’s funky t-shirt collection all summer long and we’re sad for it to soon be over. However, just because the Bake Off is soon to be departing our TV screens, doesn’t mean your sweet tooth needs to suffer - oh no! uOpen’s incredible range of delicious cakes and baking subscription boxes are here to satiate the cake-lover in you long after the final episode is over. Whether you love curling up with a good brownie after a long week or just love sticking on an apron and baking yourself happy on a Sunday afternoon, find your perfect subscription box here at uOpen today and prepare to indulge all year long. If there’s anything better than freshly baked cake delivered to your doorstep on a monthly basis, then we haven’t heard of it. The Classic Cake Box from The Cake Tasting Club understands that no matter how much you might love cake, sometimes there’s just not enough time in the week to bake it. That’s why they’ve set out to deliver four mouth-wateringly tasty treats to the doorsteps of those who want to indulge their sweet tooth - whether you’re short on time or, of course, just love a good homemade cake. You can also indulge in a complimentary tea or coffee sachet to really enjoy a true afternoon delight month after month. Is biscuit week your favourite week of all? Then Gardners Cookies is the subscription box for you. Delivering a playful take on delicious shortbreads, each month you can expect 6-8 freshly baked, homemade, vegan and vegetarian cookies that not only taste amazing, but look amazing too. With each box centred around a different theme, Gardners Cookies subscription box delivers a magical and unique treat every single month; cookies that are hand-iced to perfection with adorable designs that are cute to boot. Trust us, they’re almost too good to eat. So what are you waiting for? Give your biscuit tin a little magic touch and get your very own Gardners Cookies subscription box! If getting busy in the kitchen with a whisk is your idea of a Saturday afternoon well spent, All Things Baked is the perfect box for you. Each month, get excited for a delightful delivery of gluten-free ingredients to bake delicious desserts that’ll have your dinner guests talking for weeks. Enjoy baking old family favourites with a tasty twist and challenge yourself to brand new recipes, each month will deliver a sweet surprise! So, get ready to take your baking to the next level and prepare for the heavenly scent of homemade cake to fill your home on a monthly basis. Do you want to have your cake and eat it too? By subscribing to the Meg Rivers Artisan Bakery subscription box, you get to satisfy your sweet tooth every month with not just a slice of cake, but the whole delicious thing. Have the pleasure of trying and tasting a delectable new recipe every month; Simmel Cake at Easter, Elderflower and Gooseberry in July or maybe even a touch of Christmas cake come December. The perfect indulgence for any true cake fan. What’s more, with Meg Rivers Artisan Bakery there’s plenty of sweetness to go around, so ring up your friends and family and treat them to a delicious slither of the finest cake on you. Calling all mini bakers! Cookie Crumbles Baking Club is the perfect box for young children looking to try their hand in the kitchen. Brownies, muffins, cookies and cakes - discover just how easy it is to bake all of your favourite treats at home with simple recipes that can be ready in under 30 minutes. With no artificial colours or flavours, you can expect fun, tasty and nutritious treats every month. 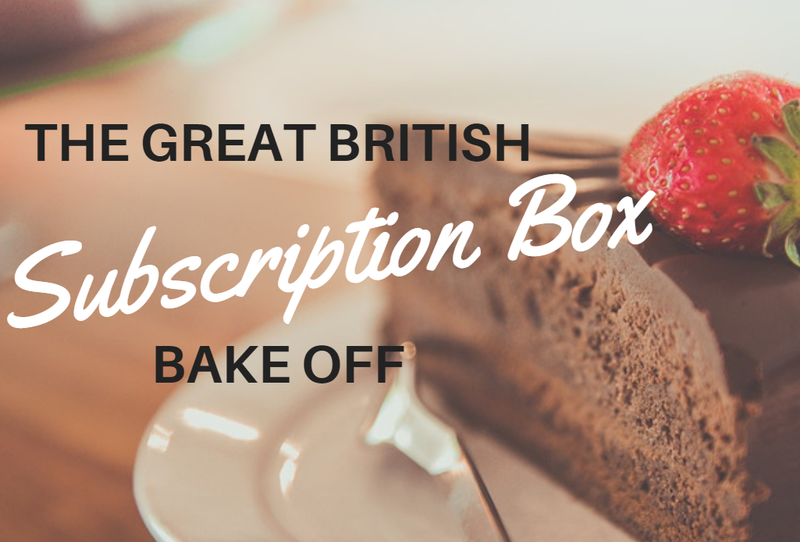 The perfect monthly box to show younger bakers just how fun cooking can be...with delicious treats at the end to celebrate with! You can browse all of the above food subscription boxes, and many more, at uOpen today. Don’t have a sweet tooth? No problem, uOpen has a large selection of boxes for meat-lovers, drink enthusiasts and spice aficionados too! Browse all the options today.